For if dreams did not sometime proceed by illusion from our secret enemy, never would the wise man have said: "Dreams have made many to err, and hoping in them have they been deceived" (Eccles. 34:7); and again: "You shall not be soothsayers, nor observe dreams" (Lev. 19:26), by which words we see how they are to be detested, in that they are compared with sooth-sayings. Again, if dreams did not sometime proceed both of thought together with illusion, the wise man would not have said: "Dreams follow many cares" (Eccles. 5:2). 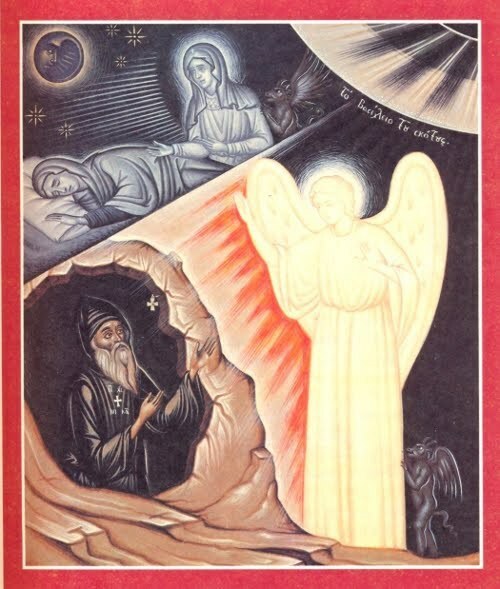 And if sometime also they did not come by mystical revelation, Joseph would had never known by dream that he should have been exalted above his brethren (Gen. 37:5-10), neither the Angel would ever in a dream have admonished the spouse of our Lady to fly away with the child into Egypt (Matt. 2:13). Again, if sometime they did not also proceed both from thoughts and divine revelation, never would the prophet Daniel, disputing of Nebuchadnezzar's dream, have begun from the root of his former thoughts, saying: "You, O king, did begin to think in your bed, what should happen in times to come; and he that reveals mysteries did show you what things should come," and a little after: "You did see as it were a great statue - that great statue and high of stature did stand against you" (Dan. 2:29-31). Wherefore, seeing Daniel does with reverence insinuate that the dream should come to pass, and also declares from what cogitation it did spring, plainly do we learn that dreams sometimes do come both of thought and revelation together. But seeing dreams do grow from such diverse roots, with so much the more difficulty ought we to believe them, because it does not easily appear unto us, from what cause they do proceed. Holy men, indeed, by a certain inward spiritual taste, do discern between illusions and true revelations, by the very voices or representations of the visions themselves, so that they know what they receive from the good spirit, and what they suffer by illusion from the wicked. And therefore, if our mind be not herein very attentive and vigilant, it falls into many vanities, through the deceit of the wicked spirit, who sometimes uses dreams to foretell many true things, that, in the end, he may by some falsehood ensnare our soul. As not long since it is most certain, that it befell to one that lived amongst us, who, being much given to observe dreams, had one night in a dream long life promised him, and when as he had made provision of great store of money for the maintenance of his many days, he was so suddenly taken out of this life, that he left it all behind him, without ever having any use thereof, and carried not with him any good works to the next world.